As part of National Public Health Week, April 1-7, the Meigs County Health Department is joining local health departments throughout Ohio to collectively celebrate 100 years of public health with a coordinated promotional campaign themed theme “How the past has made public health matter.” During public health week the Meigs County Health Department will honor employees with an employee recognition breakfast on Wednesday, April 3 from 8-10 a.m. at which time the health department will be closed. Also, on April 26, a public open house will be held at the Meigs County Health Department to celebrate 100 years of public health and the Meigs County Bicentennial. During the open house residence can take a tour of our renovated offices, learn about services that are offered, and enjoy refreshments including chili from our staff chili cook-off. In the 100 years that have passed since the enactment of Hughes-Griswold, public health has had a significant impact on health and quality of life: People are living an average of 25 years longer; small pox, once a common, deadly occurrence, has been eradicated; motor vehicle fatalities have been reduced by 90 percent; and deaths from sudden infant death syndrome has decreased 50 percent. Also, among the accomplishments of public health are: immunizations for children and adults, the control of infectious diseases, reduction of tobacco use, safer and healthier foods; better maternal and infant healthcare; increased preventative screenings, and public health preparedness and response. The Hughes-Griswold acts were a continuation of public health organization that began with founding of the state board of health in 1886 and a 1906 law that provided that each city, village and township send a delegate to the state board’s annual meeting. This is where many city health departments got their start. 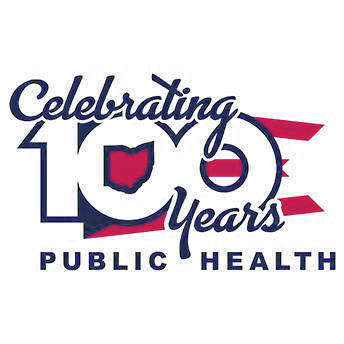 While the last 100 years have been filled with much success and progress, the next 100 years promise to show the ever-growing presence and importance of public health in our everyday lives. From the continued emphasis on the importance of immunizations, maternal and child health, food safety and vector surveillance, there are new horizons including dental care, substance abuse, health equity, national accreditation, food deserts and cross-sector partnerships. For more information about local public health efforts, check out our website at www.meigs-health.com. Information provided by the Meigs County Health Department, Brody Davis, Public Information Officer.